Even though we listen to advice and do regular exercise, most people are facing with a number of obstacles in their attempts to reach the desired body weight. When the effort and hard work does not bear fruit, many are opting for drastic and restrictive diets. However, it should be noted that they are in most cases inefficient and even dangerous to health - with some exceptions. Therefore, if you want to take off the extra pounds, it is necessary to first turn to the experts - doctors, nutritionists, fitness coaches. 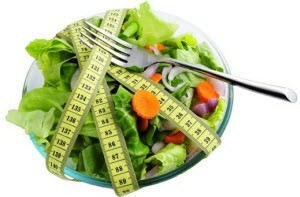 In this article find out what is a healthy weight loss without diet and which foods to eat. With the arrival of spring and warmer days, more often we get asked how to lose weight in a healthy way. What you need to know is that you cannot apply a universal model for a weight loss, because to determine the best method you need to take into account the current body weight, lifestyle, general health and the like, but it is essential to adopt a proper diet, without skipping meals and regular physical activity. In addition, as in the case of most problems, the solution for effective weight loss without dieting can be sought and found in nature. There are many plants that thanks to its diuretic and detoxifying properties efficiently melt the pounds and raise the energy needed for daily exercise. Below we present those that have proven to be the best allies for weight loss. This tea is used by many people around the world who are struggling with excess weight. It contains catechins, which are very powerful antioxidants, speed up the metabolism, and fat gets burned more efficiently. In addition, due to the abundance of minerals such as magnesium and potassium, it acts as a diuretic, promote the excretion of excess fluids which cleanses the body of toxins. Results of the study conducted by the American Journal of Clinical Nutrition showed that people who consumed 690 milligrams of green tea extract a day for three months lost more weight than those that did not. Artichoke leaves have a high percentage of magnesium, calcium, iron and potassium and are rich and vitamins B1 and C, which act as a strong antioxidant. Artichoke has cynarin, a substance that promotes the work of bile, speeding up the digestion. It is an effective diuretic and prevents the retention of excess fluid. In addition, this plant contains a very low percentage of fat (1 percent) and protein, and therefore its calorific value is negligible (about 22 calories per 100 g). Consumption of these foods provides long-lasting feeling of satiety, reducing the intake of excess food and weight gain. This type of seaweed is rich in iodine, protein, vitamin B complex and minerals, iron, phosphorus, magnesium. Due to the high concentration of iodine, this herb stimulates the thyroid gland, which promotes faster fat burning. It is not advisable to drink it daily but periodic consumption of tea is preferred and use it fresh, because it eventually loses its beneficial ingredients. It is advised to consume it before a meal. This is one of the most effective herbs when it comes to weight lost, and for this purpose root is used. In addition to being an efficient detoxifier of our liver and kidneys, it is an excellent diuretic, and in addition, soothes inflammation and regulates blood sugar levels. Besides being used as a food additive in beverages, cinnamon successfully regulates blood sugar levels. This plant can raise body temperature, resulting in acceleration of metabolism, which accelerates the melting of fat. Also, encourages the bladder function. If you are looking for a solution on how to lose weight without dieting, but at the same time not impair your health - be sure to use ginger. The aromatic root is full of essential oils, which encourages digestion, promotes better work of our bile, and thus the breakdown of fats and excretion of toxic substances from the body. The infusion is prepared by chopping 10-20 g of ginger, pour it with hot water and leave it to cool. Prepare one tablespoon of dandelion root and freshly ground ginger, cinnamon sticks and 5 mint leaves. Ingredients cook in 2.5 dl of water, and when it starts to boil, remove from heat and leave it covered to cool. Strain and add two tablespoons of local honey, and drink three times a day before each meal, every other day. Instead of starvation or exercising and exhausting diets, the daily diet should include foods with few calories. Fruits contain a low percentage of calories, but thanks to that they do not create excess fat. Consumption of apples, oranges, grapefruit, grapes, and kiwi fruit in the form of juice or fruit salad is recommended, either before or after every meal, especially as a healthy breakfast. However, it is advisable to add mangoes and bananas in small quantities because they contain a high percentage of sugar - that's not going to help you lose weight. This type of food is easy to digest and, furthermore, provides the necessary amount of energy. It is best to eat salmon and tuna, because they are rich in omega-3 fats, which effectively regulates blood sugar levels and boosts metabolism - which certainly helps to effectively lose weight without dieting. It is recommended to consume wheat, barley, rye, lentils, rice, beans, etc. These foods are rich in fibre which encourages digestion. It is best to eat green vegetables -broccoli, lettuce, cauliflower, spinach, cucumbers. They can be prepared as a stew or as a salad. These foods are rich in vitamin B12 and proteins essential for proper functioning of the organism. Consumption of eggs stimulates the muscle tone and melts the fat, mostly around the stomach. It is particularly healthy to prepare poached eggs in combination with vegetables or salads, ensuring a long-lasting feeling of satiety and allowing us to have a healthy weight loss without diet and strict restrictions. There is no single universal method for people who want to practice weight loss without dieting. First of all we are not all the same, nor do we have the same needs for food. Also, many of us are not active and do not move often and we all know that no one has lost weight by sitting in front of a TV or computer. The human body can be represented visually in the form of hot peppers, apples or pears. People who belong to the first type, have the slender stature, with little difference in the width of the shoulders, waist and hips. Most favoured is diet rich in omega-3 fats from foods such as salmon, walnuts, olive oil. A person whose body is in the form of apples, weight accumulates in the middle of the waist, while the limbs are thin and skinny. It is recommended that a diet be rich in complex carbs and fibre from fruits, vegetables, grains. It is necessary to avoid artificial sweets and simple sugars that cause an increase in insulin because people of this type are prone to diabetes. Narrow waist, wide hips, buttocks and thighs are characteristics of a pear-shaped body. These people should avoid intake of fat, because the body digests them much harder than in the previous two types. Instead, we recommend a diet rich in grains, lentils, beans and the like. As you can see weight loss without dieting is not identical for all three types of body composition, so be sure to adjust the menu in consultation with a nutritionist, fitness trainer or your doctor.